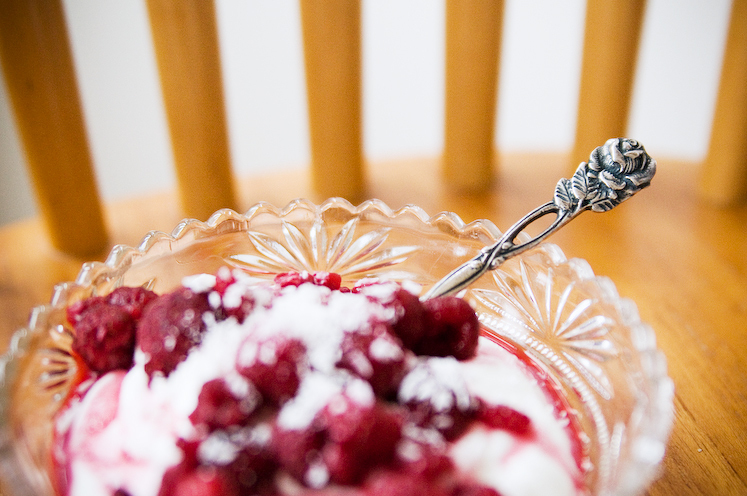 Turkisk yoghurt med hallon och kokos piggar upp i det gråa vädret, särskilt serverat i glasskål med rosensked. De senaste veckorna har jag fått sån fantastisk respons genom kommentarer och mail. Jag uppskattar verkligen era snälla ord, tack så mycket! 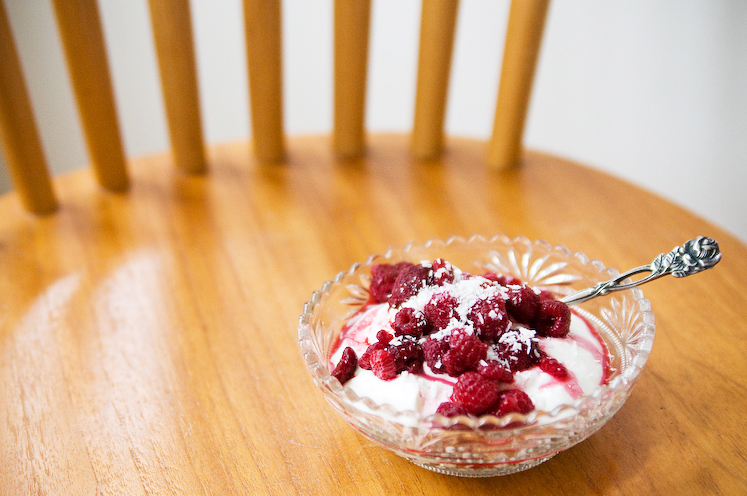 Afternoon snack: Turkish yoghurt with raspberries and shredded coconut. When I ate it, I almost forgot the gray weather outside. The response I've gotten through comments and emails the past few weeks has been overwhelming. Your kind words mean a lot to me, thank you! Hi! I just found your blog via decor8 and I am very happy she mentioned you as blog of the week! Your photos are beautiful! so i've been browing around your wonderful blog for a while and i must say they are quite excellent :) thank you for your wonderful work! hope all is well! my grand mother has just the same spoon! She live in Belgium.